NOT "just a rhyming dictionary on steroids." "The keys to the “theater of the imagination” are descriptive words. Why be limited to what you can remember, when you can have all the possibilities in an instant?" ~ Barry De Vorzon, Award-winning songwriter & author of MASTERWRITER songwriting software. We already use"MASTERWRITER" so of course we wanted to feature it. [NOTE: We are NOT gettng "compensated" in any way by Masterwriter for putting them on our pages].. But we did assume that there had to be other worthy software packages out there. AND WE FOUND TONS!! --- And we are going to look at these and let you know the score.. But for right now, we don't see any comparable alternative to MASTERWRITER at their price point. But, after you've seen just how "deep" this program is, and how much it offers for the price, you may not feel the need to look any further! "MASTERWRITER" is an unlimited source of ideas pre-inspiration, and an invaluable tool during the creative process. However, its most important role may be post-inspiration, when finding a better way to express yourself or a more creative way to describe something, can be the difference between good and great." Did you notice that term - "PRE-INSPIRATION"? This is the first and ONLY time we've encountered such a term. This in itself demonstrates how a successful songwriter organizes his "workflow". And the fact that Barry Devorzon's methodology is implicit in the "workflow" of MASTERWRITER means that when you use this program, you have an seasoned successful pro as your "collaborator". All of this allows us to state positively that MASTERWRITER would not be a waste of time and money for anyone who wants to or is writing songs. So, as you have seen: There are now some songwriting software 'suites' in existence which can give you a tremendous advantage. BUT, as with any technology, these tools are useless without INSPIRATION & JUDGEMENT and only a living, breathing conscious person can provide that. But I do hope that the exciting possibilities which are suggested by these songwriting software products, can become reality for you. Let's write some great songs! Good Luck! BE AN AMAZING MUSICIAN -- FASTER! I'd love to see YOUR testimonial on this list! 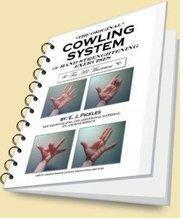 You CAN truly master and enjoy your music, if you diligently do "THE ORIGINAL" COWLING SYSTEM © of Hand Strengthening Exercises for Musicians! Care to join us? Order this e-book for only $22.50 through Paypal or most major credit cards.